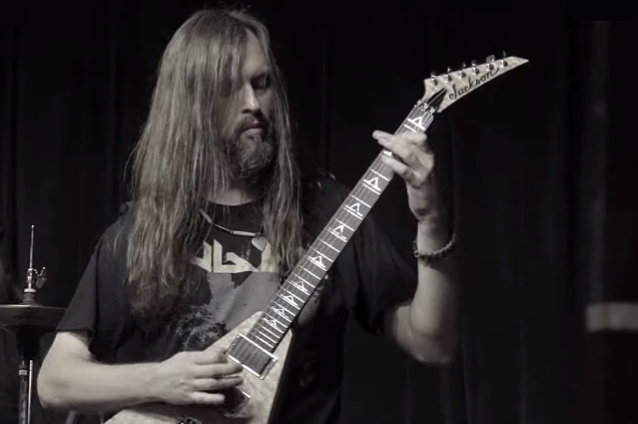 According to TMZ, Oli Herbert, a founding member and lead guitarist of metal band ALL THAT REMAINS, was found dead near his home in Connecticut. He was 44 years old. Police were dispatched to Oli's Stafford Springs residence Tuesday afternoon after someone reported him missing. Cops searched the area and found Oli in a nearby pond. The Herbert family publicist confirmed Oli passed away yesterday "unexpectedly as a result of an accident which occurred on the property of his home." Funeral arrangements are pending and will be announced once that information is available. The family requests for privacy during this time but does wish to express its appreciation to fans worldwide for the outpouring of condolences.